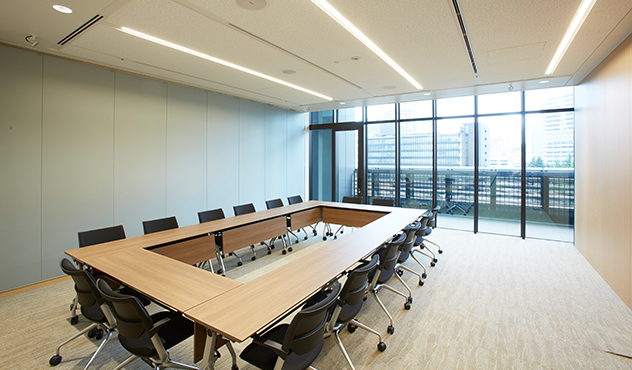 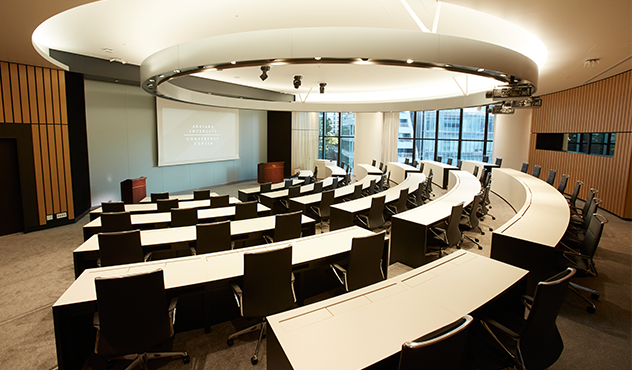 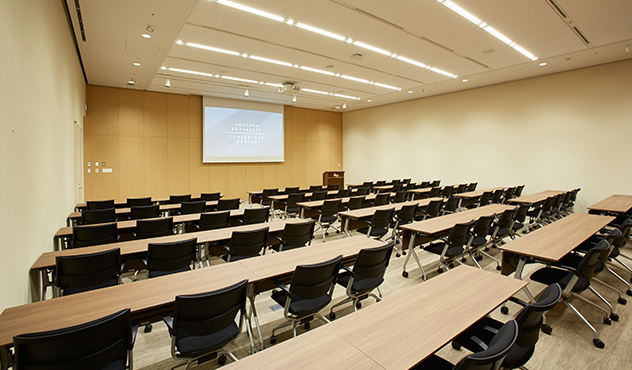 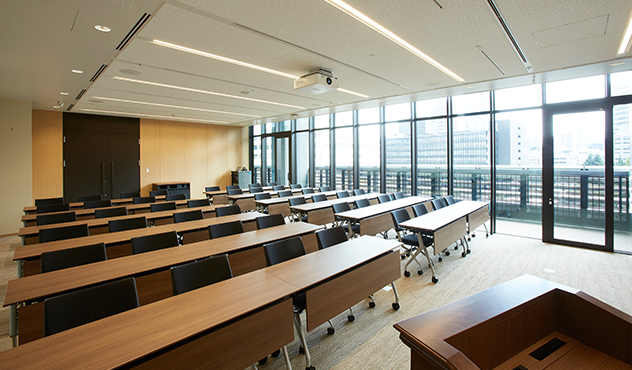 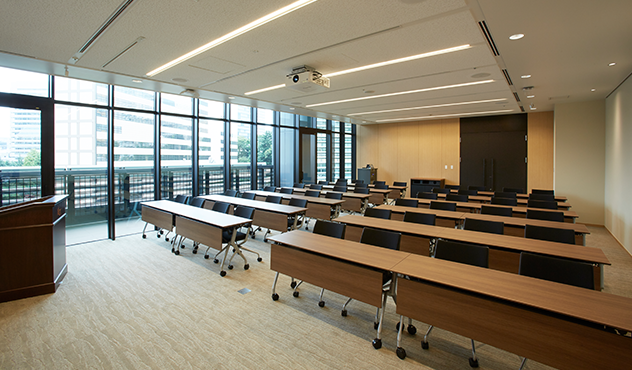 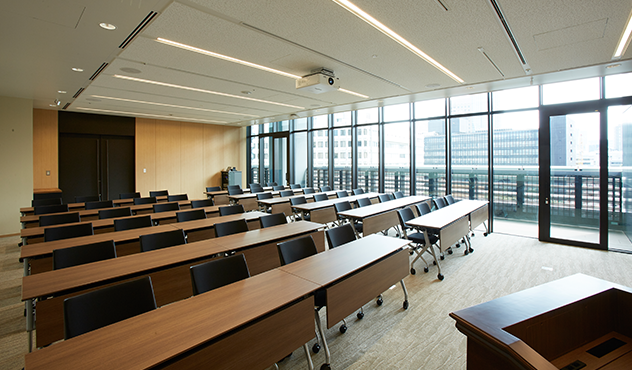 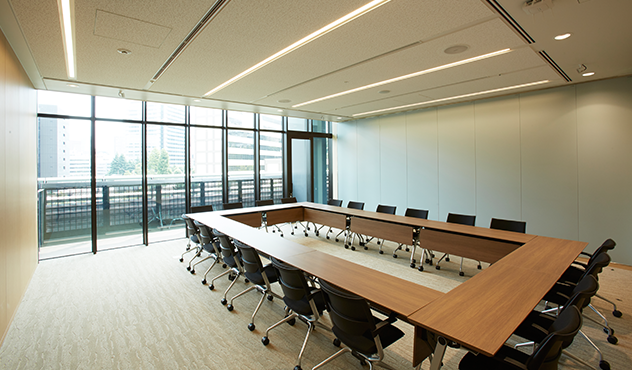 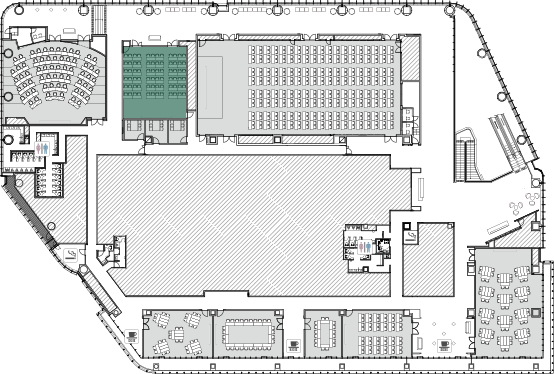 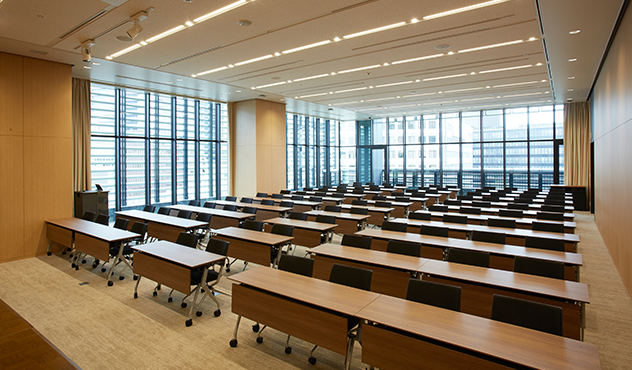 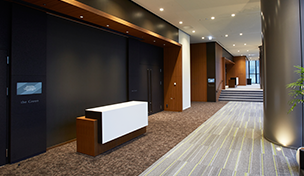 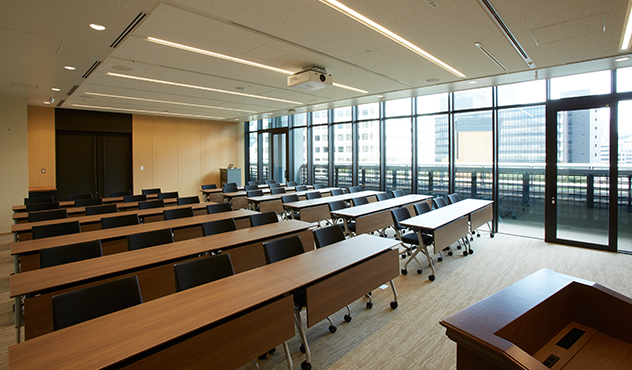 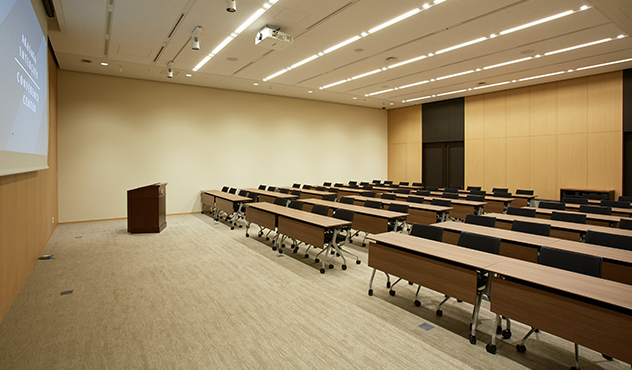 A utility space convenient for breakout sessions, exhibitions and business meetings. 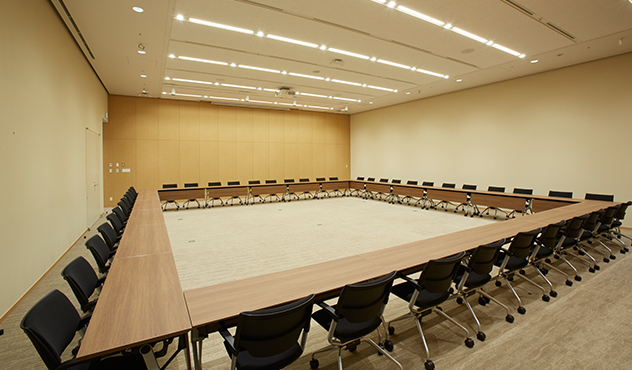 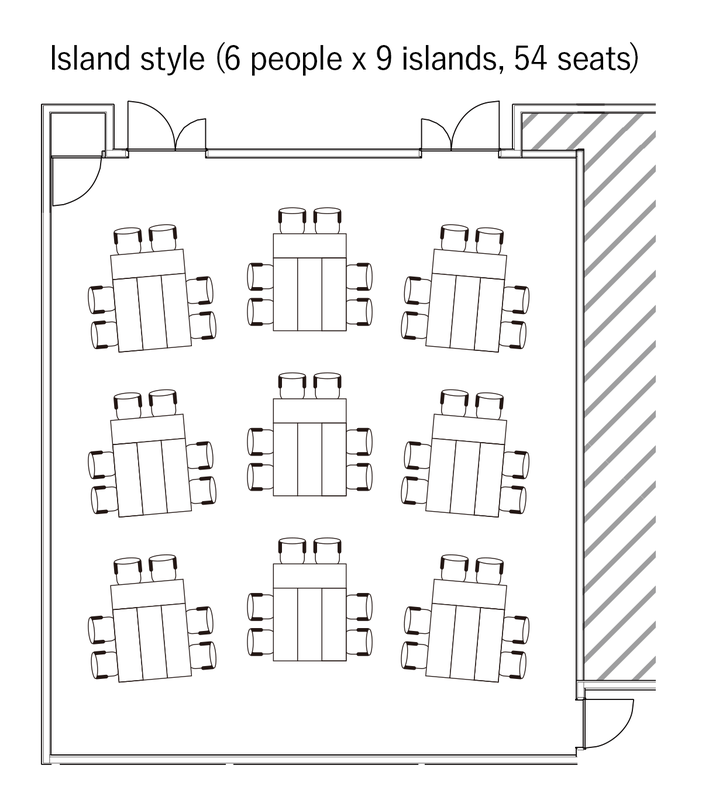 Can be used with “the AIR” as a reception space or as a waiting room, break-out session room or exhibition space. 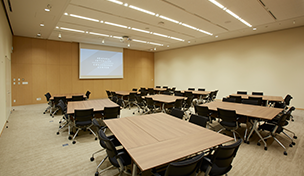 This luxurious venue with a 4m-high ceiling is also ideal for workshops. 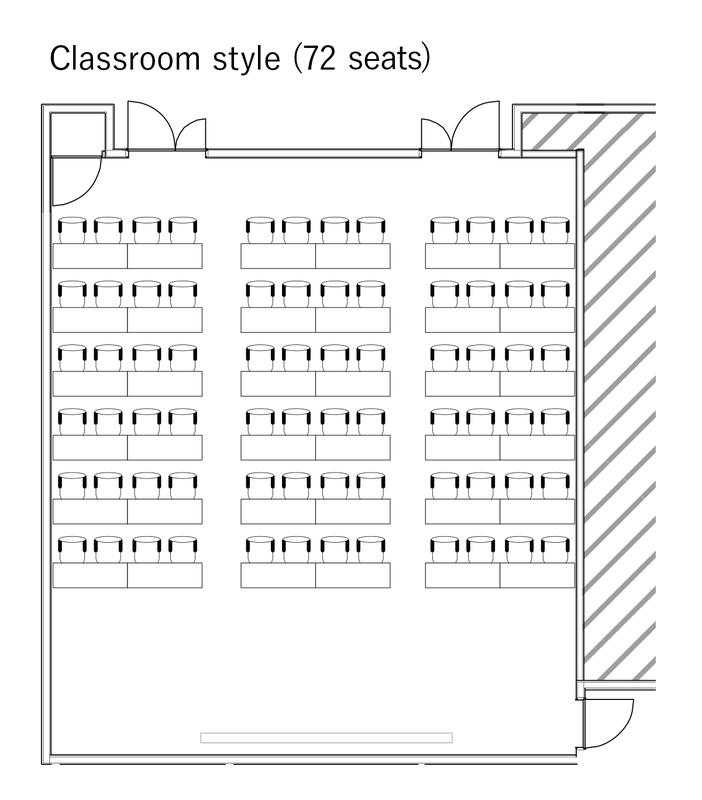 Features a dedicated waiting room. 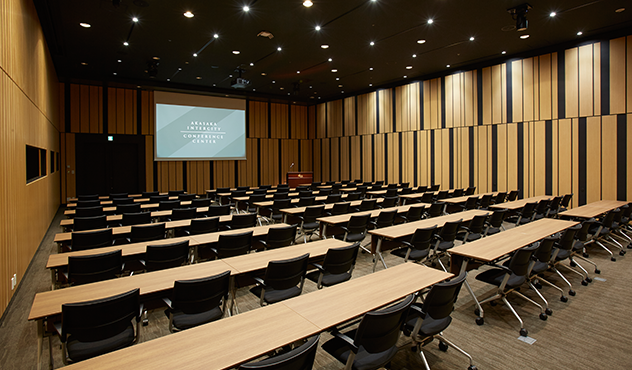 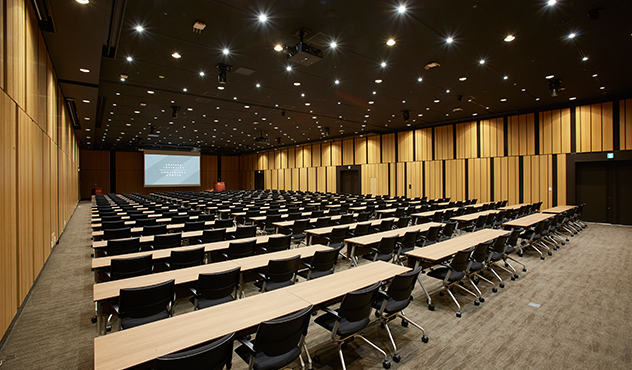 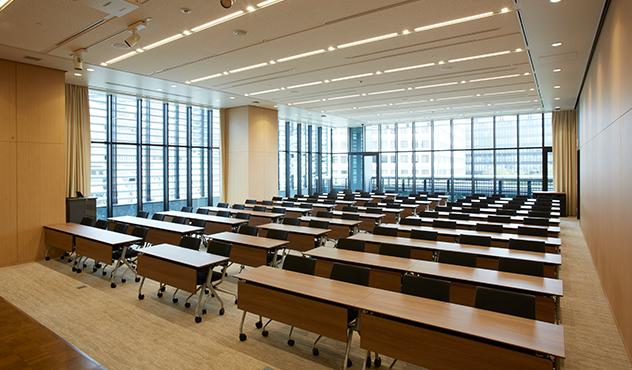 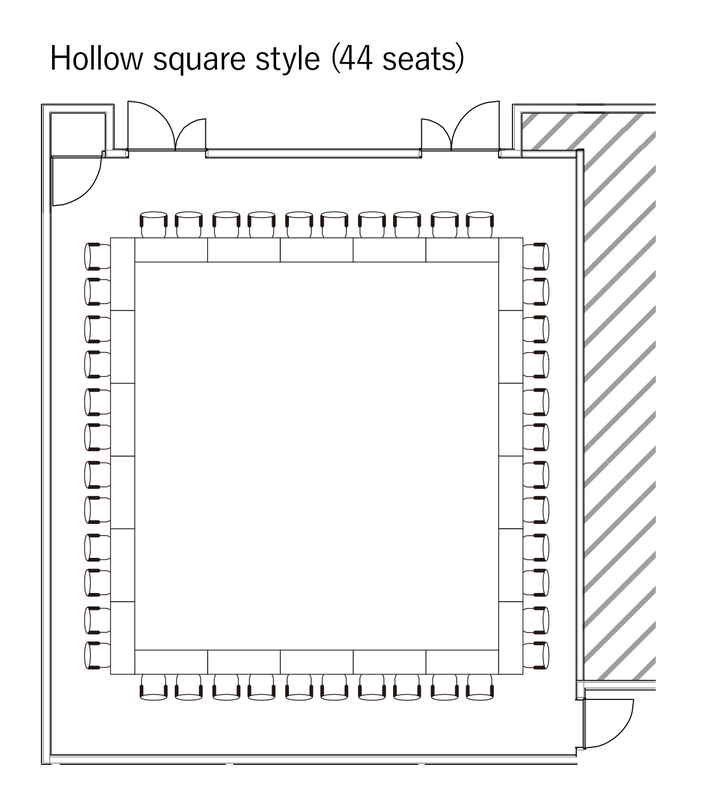 This is a utility space that can be used in combination with “the AIR”, an adjoining main hall with a seating capacity of 300, and “the Amphitheater”, a theater with stadium seating that is ideal for presentations. 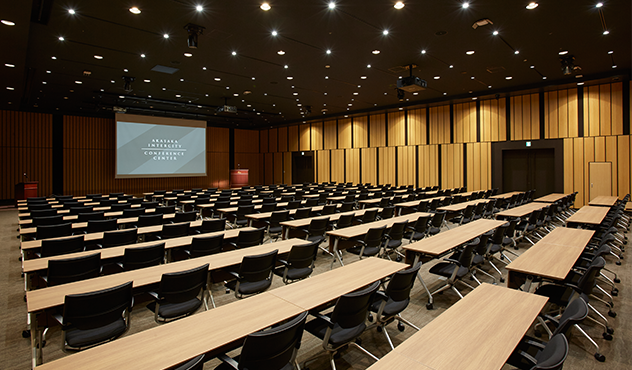 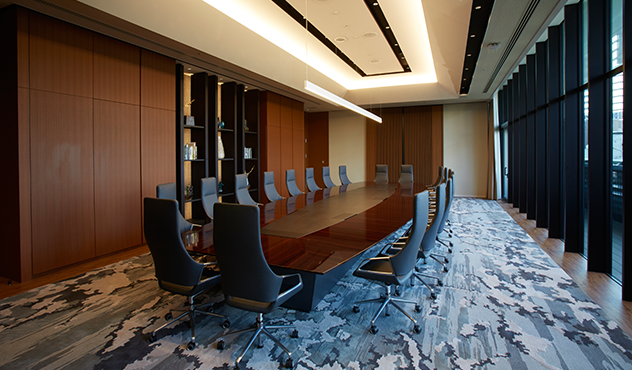 It can also be used as an exhibition and business meeting space, or for receptions and breakout sessions following international meetings and symposiums.